at the Museum of Flight on Saturday, March 17 at 6:00pm! This will be an unforgettable evening to celebrate and support Y-WE's visionary young leaders. 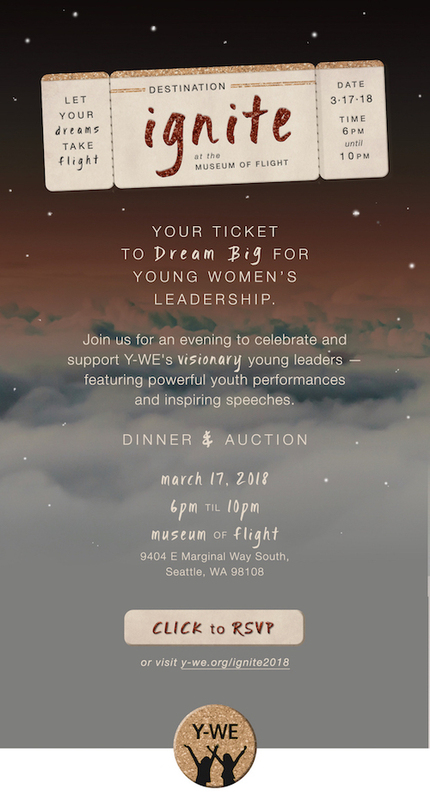 Featuring powerful youth performances and inspiring speeches--plus a delicious dinner and exciting auction--you won't want to miss this event. Reserve your tickets today! Not driving and need a lift? Visit lyft.com/invited/YWE2018 to download the Lyft app. New users can enter code YWE2018 to redeem $5 off of 2 rides (look for the 'Promos' section).